Wether you are staying in Austria or going on a road trip through this beautiful country or whole Europe, I would love to show you how you get the best out of Vienna – the capital of Austria in just one day. I explored the capital of Austria with 2 million inhabitants because I visited my friend in Graz. Graz is the second biggest city in Austria and just two hours away from Vienna. We decided to take a cheap bus and start the one-day-trip at 6 am. Yes, it was early and yes you feel awkward and not able to walk the whole day but your excitement will push you when you arrive in the city center of Vienna. What we saw first was the beautiful Karlsdom (cathedral). The Karlsplatz (place) is one of the major places where the tram, bus and underground lines of Vienna come together. We got a really good recommendation for where to have breakfast, because it was still very early. But so many people where already awake and in shopping mood or ready for work or whatever…at 9 am on a Saturday! At cafe Hawelka we were served by a real servant with a shirt and a bow tie dressed in black and white. He was very kind and fast. There are no menus so the servant tells you what you can order or you ask for it. We asked for breakfast and he told us that the cafe only serves Wiener Frühstück (Vienna breakfast) which contains Semmel (bread rolls), butter, marmalade, an egg and coffee or tea. It was not much to choose but very tasty and enough to feel ready to explore the city. We started crossing Stephansplatz to get to the underground (U4) for visiting Schönbrunn the palace of empress Sissi. I have been watching the German Sissi trilogy since I was a little child so I was very fascinated and excited! The palace is so huge, you can visit many wings of the palace and there is also a museum for kids. We didn’t visit the museums. We rather wanted to explore the place behind the palace and we hiked the hill to take better pictures of the whole park. Up the hill you have an amazing view over the palace and the city. Unfortunately the weather was cloudy so the pictures look a bit dark. The view from the little hill is fantastic isn’t it? 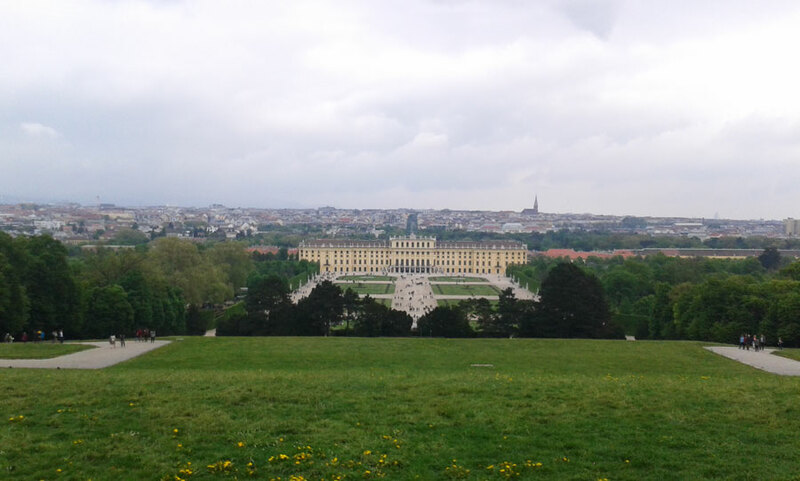 After enjoying the view of Schönbrunn we were ready for lunch. Actually we planned to eat cake first and have Wiener Schnitzel later back in the city, but as we reached the restaurant we decided to go with Schnitzel, which was a perfect idea! As the weather was cloudy and cold we wanted to sit inside and the only real restaurant/cafe was Kutscher G’Wölb which is located at the stables where Sissi liked to spend time. She loved to ride by the way. Be that is it may, the Schnitzel was perfect for our hungry stomach! Hundertwasser was a famous artist born in Vienna. He integrated trees in his architecture. 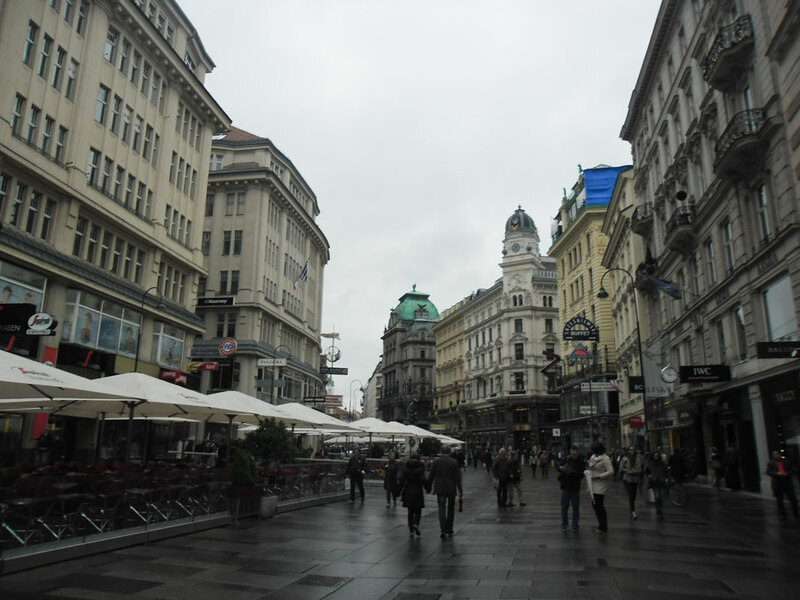 After lunch we headed back to the city center of Vienna as we booked a bus tour for sightseeing. We thought it would be good to get an overview and to check some sights we liked best, afterwards. We booked at Redbus Citytours the day before. 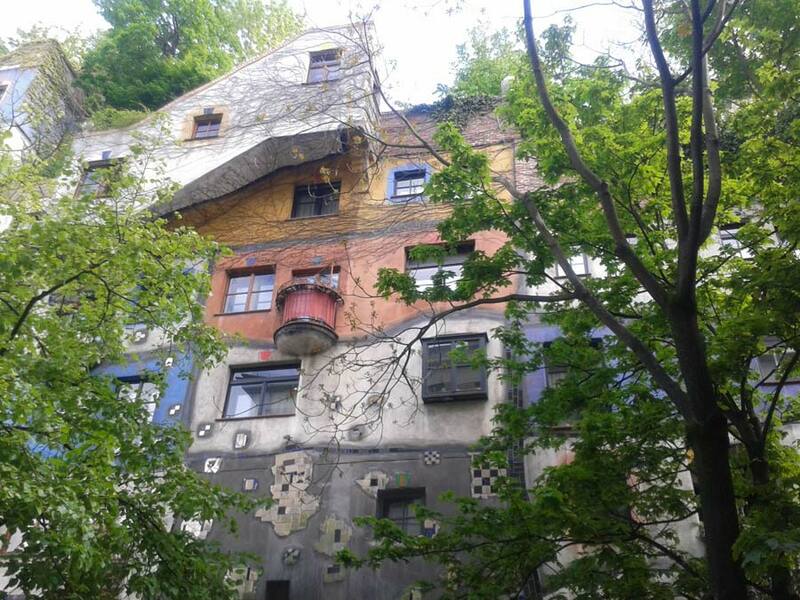 The tour takes about 2 hours and there is a stop at Hundertwasserhaus (Hunderwasser was a famous artist back in the history who was born in Vienna 1928) for taking pictures and shop some souvenirs. You got me – I fall asleep a bit during the tour as I had to get up veeery early. It was all because of the nice sounds. As we were not far away from the Wiener Hofburg we checked it out from both sides and walked through the park and took pictures of the National library as well. 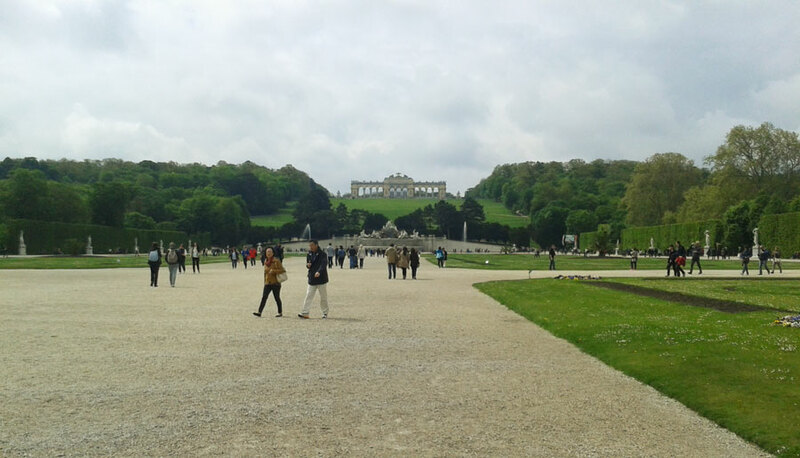 Suddenly, we heard techno music and were wondering if there was a concert at the Stadtpark (city park). But after crossing the park and arriving at the parliament we found out that there was a demonstration for legalizing marijuana. It was funny to see the people totally relaxed and without any aim to be violent. There was just a small crowd of the police at the parliament. 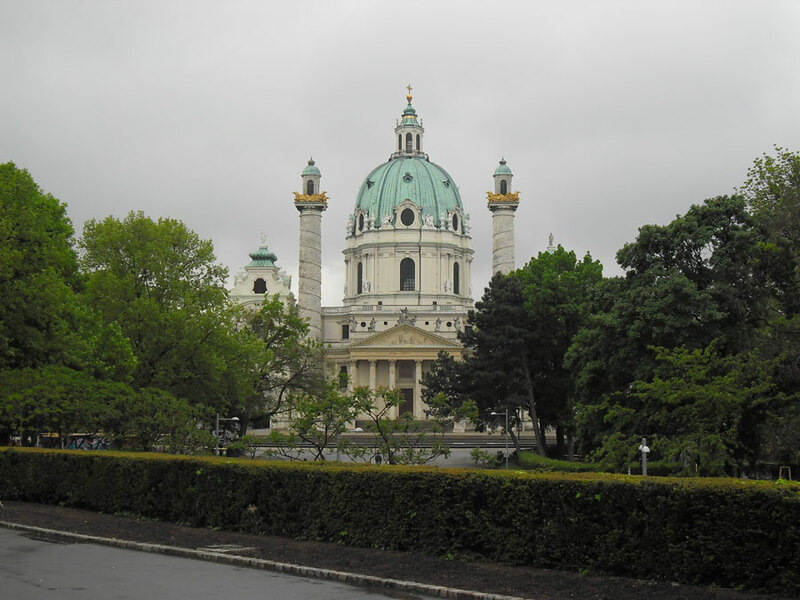 After taking pictures of the gorgeous parliament, the amazing city hall and the state theater, we headed back to Karlsplatz to get the tram to the bus station. 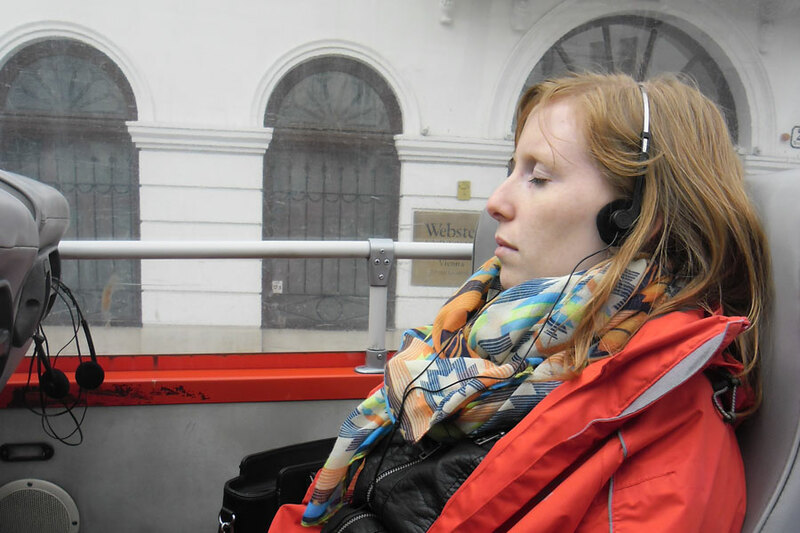 Everybody from Graz who had the same idea to visit Vienna for a day fell asleep on the bus except me. I can’t sleep on a bus, car or airplane. Who has the same problem and can understand? 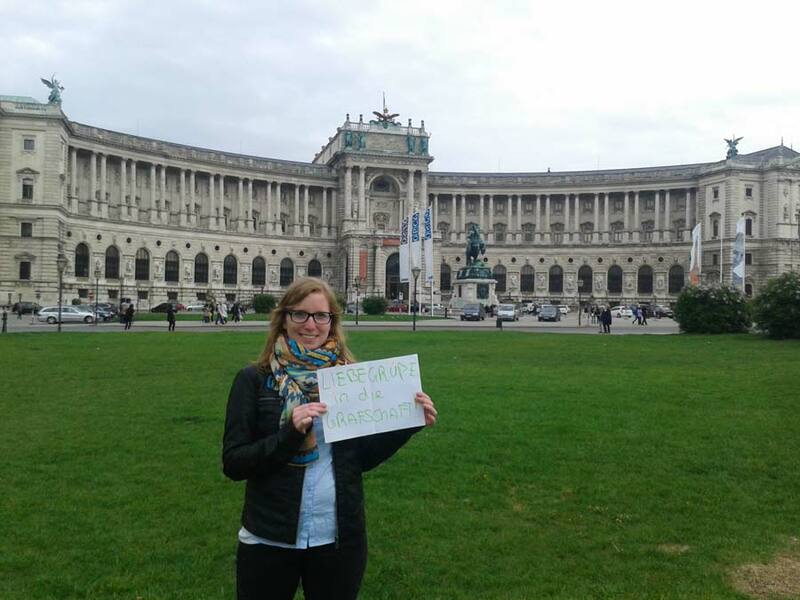 What do you think about my one-day-visit in Vienna? Could I help you to plan a trip to this old and impressive capital of Austria? I know I have just seen everything from the outside but this is how I explore cities on a budget and without having much time. I usually travel like this ever since I was a student. After graduation and starting a job I have more money but less time. If you have more time in Vienna you should definitely visit the museums and book a show at Wiener Hofreitschule.